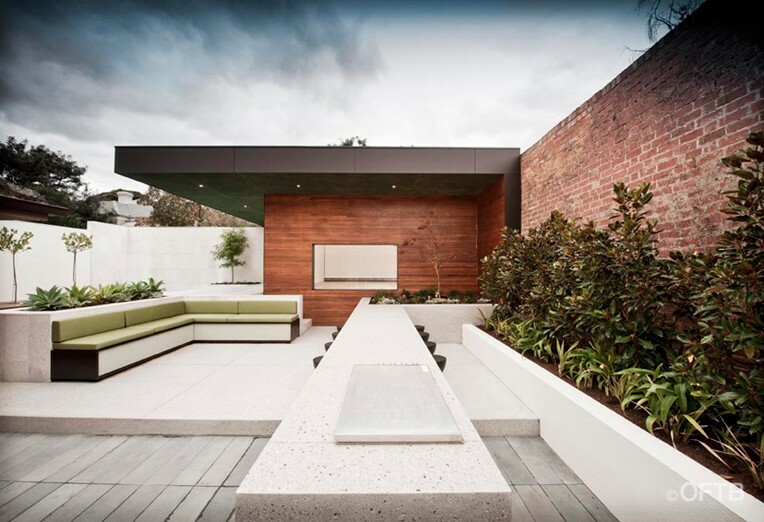 messmate shiplap, fibreglass grating ceiling lining, aluminium framed sliding doors. 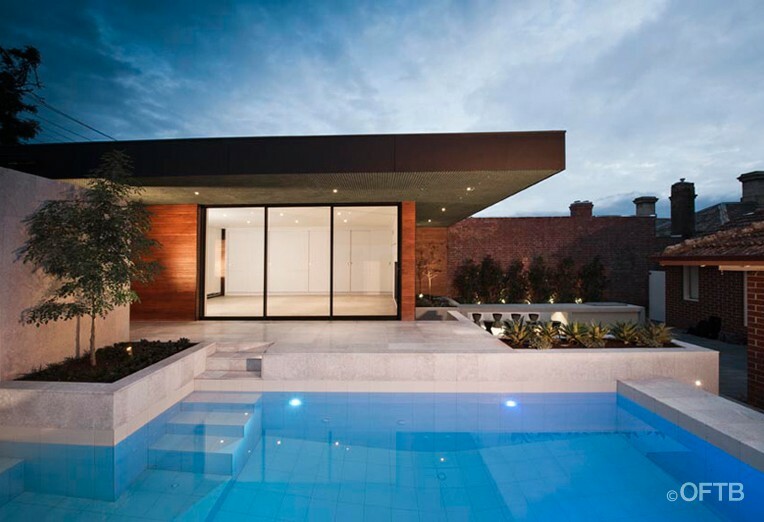 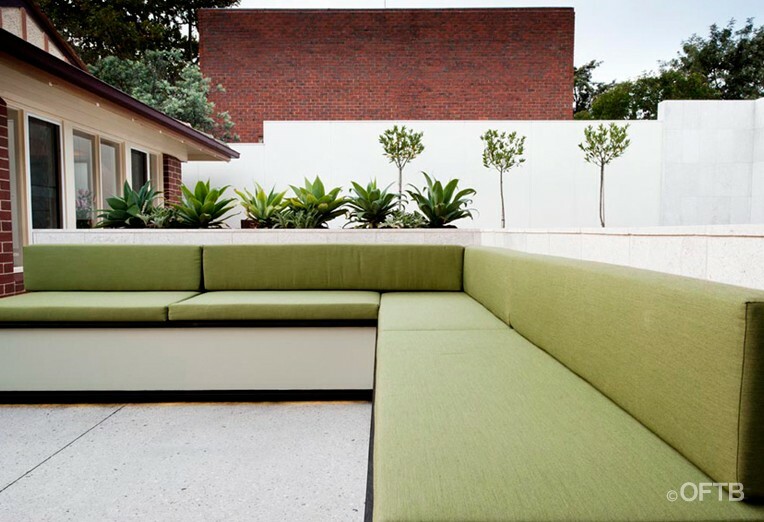 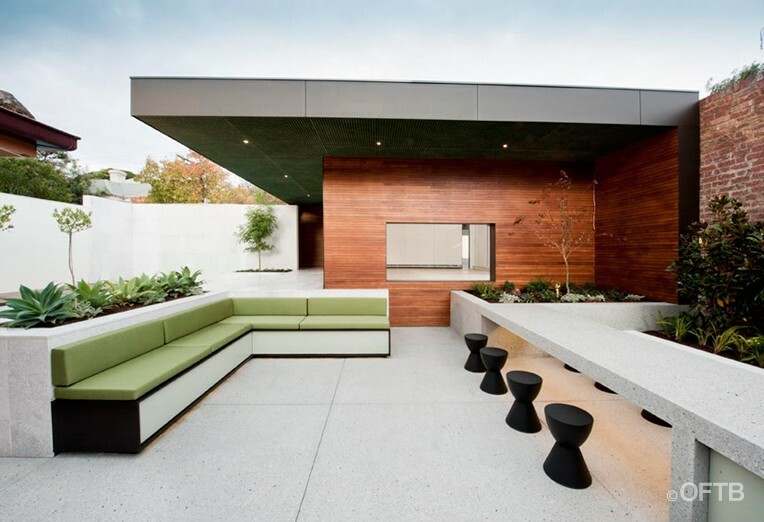 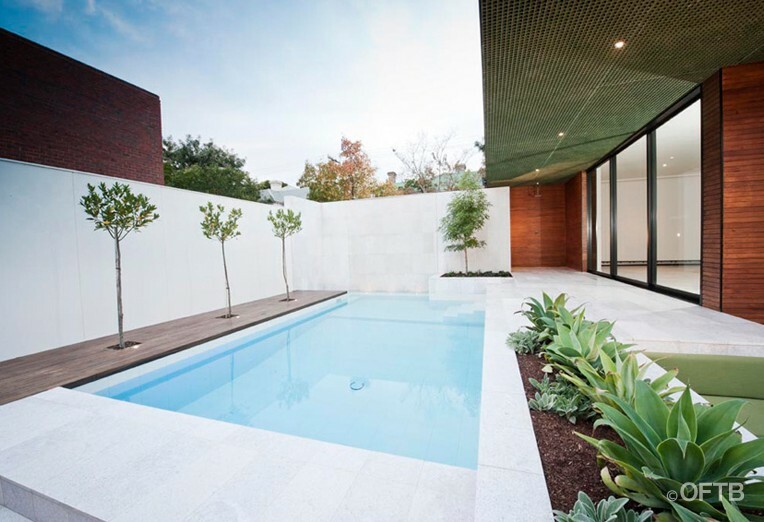 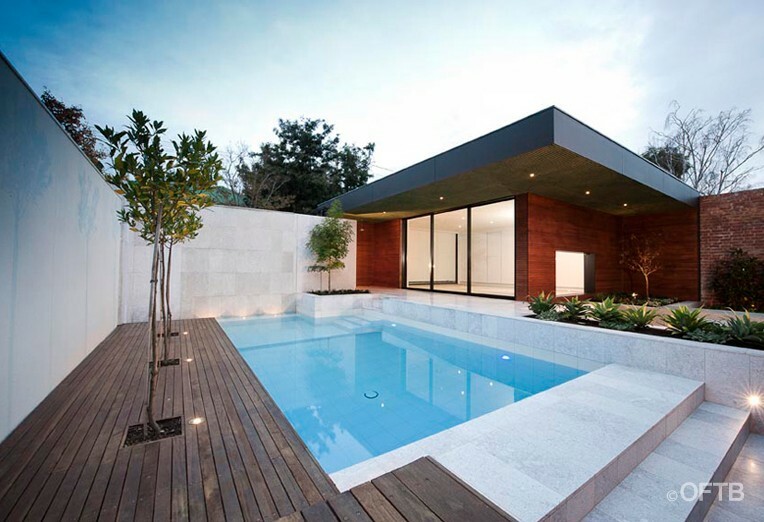 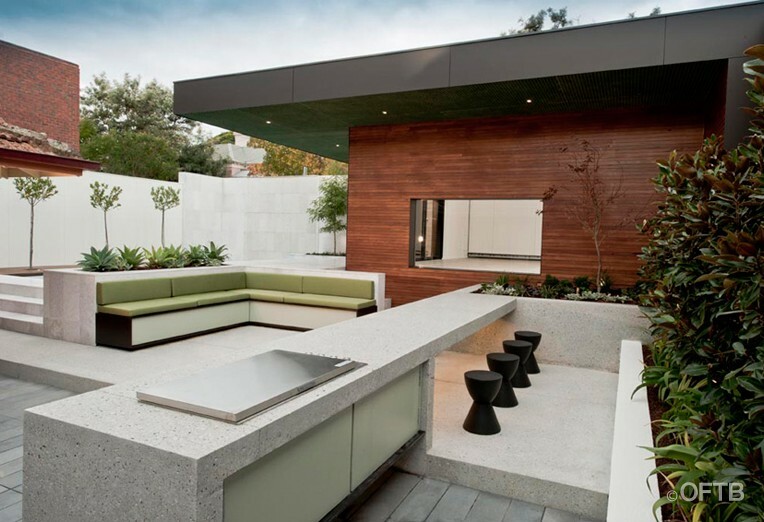 concrete, granite, bluestone, spotted gum, compressed sheet, upholstery, large format pool tile. 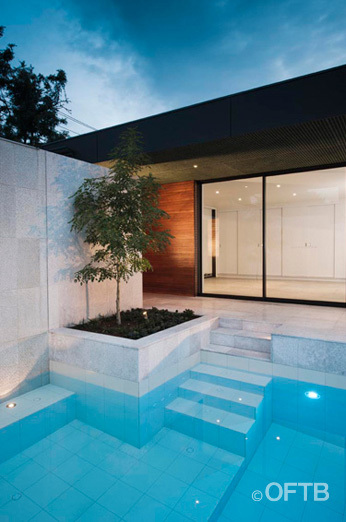 retreat inc. sliding doors & viewing window, pool inc. water wall, L-shaped lounge, bbq/dining table, service area inc. toilet, garden beds.